Over the past few weeks, my scalp has been itching. And when I say itching, I don't mean I've been giving it the occasional scratch. I mean going at it until it bleeds. Truthfully, it's only a little bit and it's just in one area, but still ew, right? It's not been fun. At first, I put it down to stress but then, even at weekends when I was relaxed, I still found that this was happening. So what was the cause? To find out the root of the problem, I spoke with hair and scalp specialist Paula Halsey, Phyto's Education Manager, who analysed my scalp with a special machine known as a Digital Microscope Endoscope Magnifier Camera. The camera had a magnification of 400x, meaning you could see 0.45mm. To paint a better picture for you (without the science stuff), when the camera was placed on my head, I could see the actual space between my hair follicles, as well as all the individual strands, so it was very close up. One thing she immediately noticed was that I have lots of hair, including several strands of hair in each follicle, which is a good thing (yay). But to the root, ahem, of my itching. Turns out, my scalp is perfectly healthy. Initially, there was nothing that Halsey could see. That was until she took a closer look. Keep scrolling to find out what the problem was as well as how to rectify it. After I told Halsey that my scalp was itching, she turned her camera towards the bottom of my head, where I said it was the worst, and she said that she could see build-up around the follicle roots. "Your scalp’s not showing any redness or irritation [ergo healthy scalp], but you really need a detox, as it’s got congested. It could be product, it could be skin cells, it could be sweat, it could be sebum, but there's definitely a build-up around your follicles." While she said that the build-up wasn't too bad, Halsey also said it would be enough to make me scratch my head. Thankfully, she had some advice on a remedy. 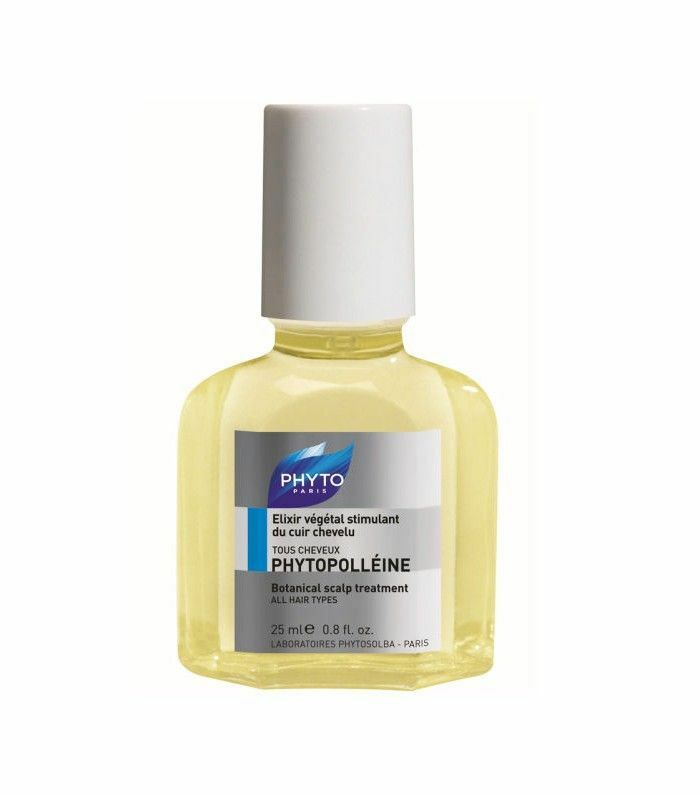 "Phyto's Phytopolleine treatment is amazing. You use it as a pre-shampoo treatment—so once a week just 20 drops on the scalp, massage it in and leave it 20 minutes before shampooing. And then it will deep cleanse right around the follicle. And your scalp feels amazing after it, and it will feel really clean." The product is made with essential oils (including cajeput, lemon, rosemary, sage, and cypress) to help stimulate and normalise the hair follicles. It's intended to purify the scalp and support the scalp's natural microcirculation. And my conclusion on using it? Immediately, my scalp felt cleaner and refreshed, and there was no more itching. It also had a fantastic smell, which is always a plus. Click through to find out the truth about sleeping on wet hair.